Buying a used car offers big advantages to car buyers, such as substantial savings in terms of price, insurance coverage, and financing. However, those savings can come with an additional cost if you are not careful. Taking the time to carefully size up not only the used car, but also the previous owners can eliminate a host of problems down the road. For example, knowing the right questions to ask and knowing the right car components to inspect will make used car buying much more rewarding. We take a look at some of these simple yet effective ways of protecting one’s investment dollars when making the big decision to buy a used car. The initial and often easiest way to get a sense of the condition of the used car being considered is to get a feel for how it has been maintained in general. Is it clean and free of minor damages and scratches? Are the tires properly inflated? Are there any odors present, such as cigarette smoke odor? Sometimes, but not always, these simple tell tale signs are indicative of bigger issues. Next, asking the seller several key questions can give you a sense of if the seller is being forthright and honest. Use your intuition here, because sometimes you just know if it is the right deal or if you should pass. The next step is obviously to take the all important test drive. How does the car feel on the road? Does it track down the center of the road or does it pull to one side? Are there any strange noises? How do the brakes feel? These are items only a good test drive will reveal. Also when conducting the test drive compare handling on small back roads to handling on larger highways. You may detect problems at high speed that would have gone mostly unnoticed at lower speeds. Upon returning from the test drive, check for oil and other fluid leaks that may have been masked when the car was cold. Prior to the test drive you would have likely checked the oil level and transmission fluid levels, so now is a good time to compare those levels as well. Safety note: always wait for the engine to cool before rechecking fluid levels. If the used car you are considering passes your initial tests as described here and you decide to make an offer on the vehicle, there are a few more steps you may choose to take. For example, advise the seller that upon making an offer that you would like to have a professional mechanic do a complete and detailed inspection. Use a mechanic you know and trust to conduct this critical step in buying a used car prior to making any final purchase. 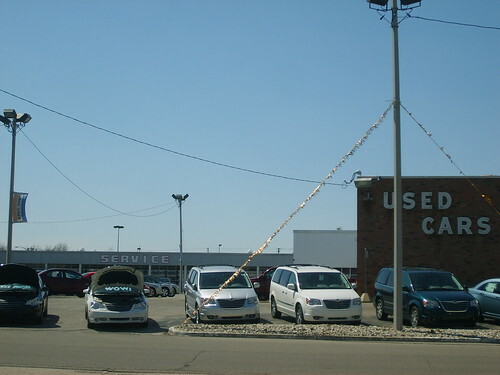 There is one final step in ensuring that you are getting a good deal on a used car. You can run a check online of the car’s VIN number to find out if the car has been in any accidents over the vehicle’s service life. There are a number of websites that offer this service online for a small fee. Doing a simple online search will return several good options. Buying a used car can mean big savings, but avoid having those big savings turn into big headaches by knowing how to inspect a used car before you buy. This information has been provided courtesy of AutoFinancingforBadCredit.org, a leading provider of auto loan services for people with low credit scores.